Have a teenager who absolutely loves to read? 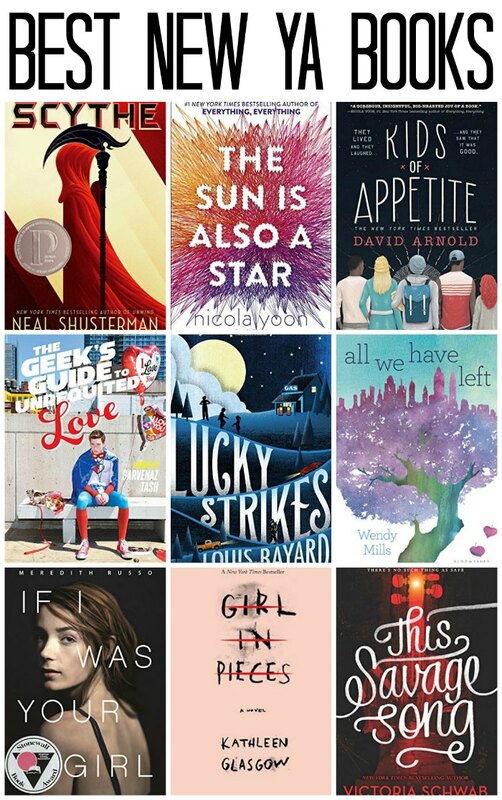 They will absolutely fall for these best new young adult books of the year. Don’t miss out on other Best New Books for Kids of all Ages, all broken down by age group through high school! 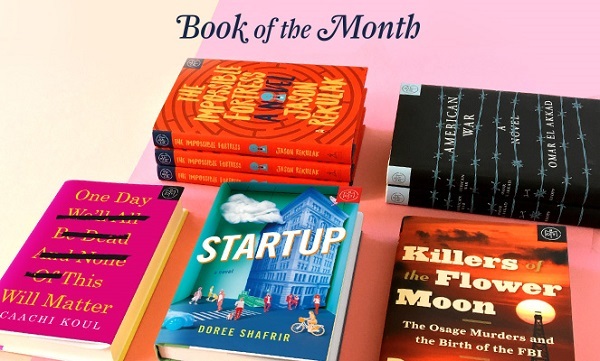 I recently joined Book of the Month Club and was sent The Sun is Also a Star. Even though it may be marked as a “young adult” book, I absolutely loved it! I tore through it during our Spring Break it was soooooo good. So even those these are the best new young adult books, even grown-ups can read these wonderful books. 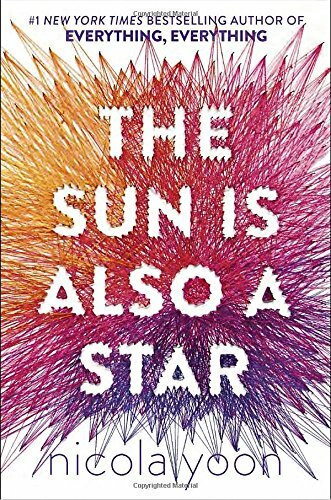 The Sun Is Also a Star (Yoon, Nicola): A New York Times Notable Book. The #1 New York Times bestselling author of Everything, Everything will have you falling in love with Natasha and Daniel as they fall in love with each other! 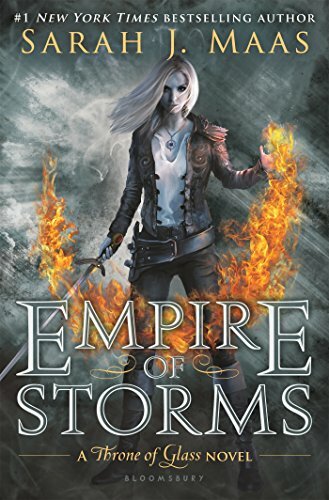 Empire of Storms (Throne of Glass): The long path to the throne has only just begun for Aelin Galathynius. Loyalties have been broken and bought, friends have been lost and gained, and those who possess magic find themselves at odds with those who don’t. 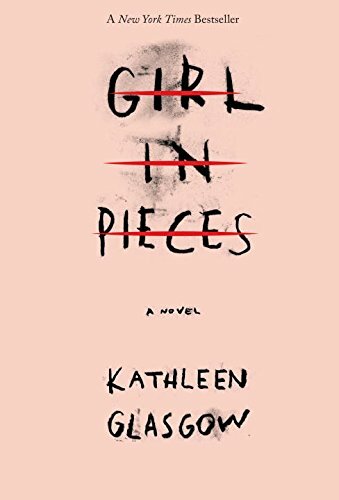 Girl in Pieces: Charlotte Davis is in pieces. At seventeen she’s already lost more than most people do in a lifetime. But she’s learned how to forget. The broken glass washes away the sorrow until there is nothing but calm. You don’t have to think about your father and the river. Your best friend, who is gone forever. Or your mother, who has nothing left to give you. Every new scar hardens Charlie’s heart just a little more, yet it still hurts so much. It hurts enough to not care anymore, which is sometimes what has to happen before you can find your way back from the edge. 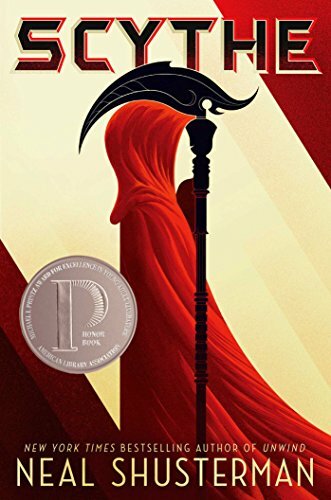 Scythe (Arc of a Scythe): A world with no hunger, no disease, no war, no misery: humanity has conquered all those things, and has even conquered death. Now Scythes are the only ones who can end life—and they are commanded to do so, in order to keep the size of the population under control. Citra and Rowan are chosen to apprentice to a scythe—a role that neither wants. These teens must master the “art” of taking life, knowing that the consequence of failure could mean losing their own. 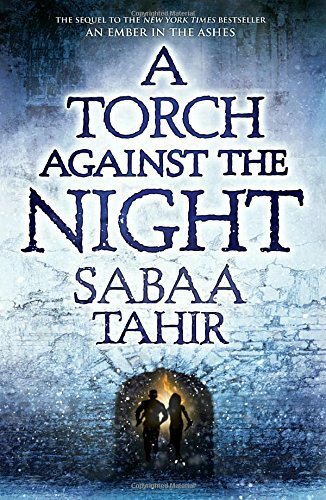 A Torch Against the Night (An Ember in the Ashes): After the events of the Fourth Trial, Martial soldiers hunt the two fugitives as they flee the city of Serra and undertake a perilous journey through the heart of the Empire. Laia is determined to break into Kauf—the Empire’s most secure and dangerous prison—to save her brother, who is the key to the Scholars’ survival. And Elias is determined to help Laia succeed, even if it means giving up his last chance at freedom. But dark forces, human and otherworldly, work against Laia and Elias. The pair must fight every step of the way to outsmart their enemies: the bloodthirsty Emperor Marcus, the merciless Commandant, the sadistic Warden of Kauf, and, most heartbreaking of all, Helene—Elias’s former friend and the Empire’s newest Blood Shrike. Bound to Marcus’s will, Helene faces a torturous mission of her own—one that might destroy her: find the traitor Elias Veturius and the Scholar slave who helped him escape…and kill them both. Salt to the Sea: World War II is drawing to a close in East Prussia and thousands of refugees are on a desperate trek toward freedom, many with something to hide. 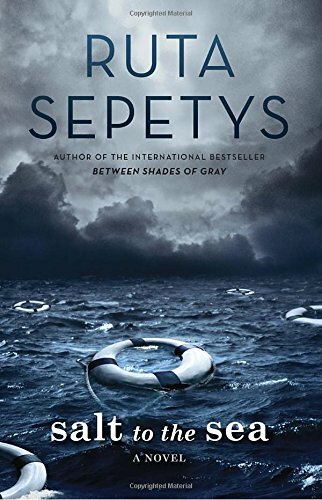 Among them are Joana, Emilia, and Florian, whose paths converge en route to the ship that promises salvation, the Wilhelm Gustloff. Forced by circumstance to unite, the three find their strength, courage, and trust in each other tested with each step closer to safety. Just when it seems freedom is within their grasp, tragedy strikes. Not country, nor culture, nor status matter as all ten thousand people—adults and children alike—aboard must fight for the same thing: survival. 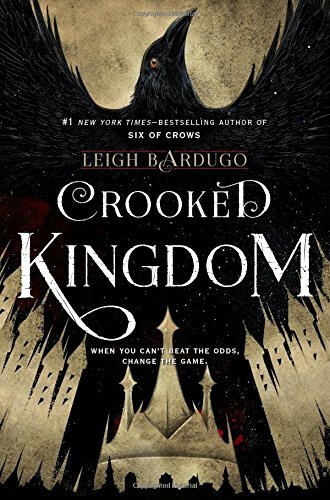 Crooked Kingdom: A Sequel to Six of Crows: Kaz Brekker and his crew have just pulled off a heist so daring even they didn’t think they’d survive. But instead of divvying up a fat reward, they’re right back to fighting for their lives. Double-crossed and badly weakened, the crew is low on resources, allies, and hope. As powerful forces from around the world descend on Ketterdam to root out the secrets of the dangerous drug known as jurda parem, old rivals and new enemies emerge to challenge Kaz’s cunning and test the team’s fragile loyalties. A war will be waged on the city’s dark and twisting streets―a battle for revenge and redemption that will decide the fate of the Grisha world. 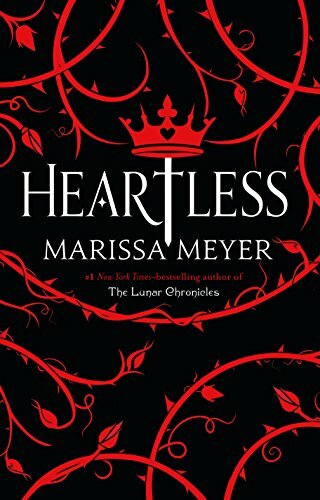 Heartless: Long before she was the terror of Wonderland, she was just a girl who wanted to fall in love. Catherine may be one of the most desired girls in Wonderland, and a favorite of the unmarried King of Hearts, but her interests lie elsewhere. A talented baker, all she wants is to open a shop with her best friend. But according to her mother, such a goal is unthinkable for the young woman who could be the next queen. 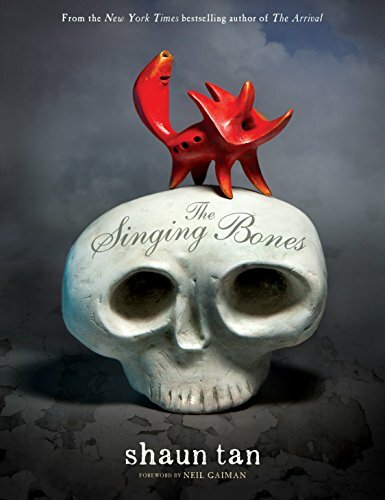 The Singing Bones: Wicked stepmothers, traitorous brothers, cunning foxes, lonely princesses: There is no mistaking the world of the Brothers Grimm and the beloved fairy tales that have captured generations of readers. Now internationally acclaimed artist Shaun Tan shows us the beautiful, terrifying, amusing, and downright peculiar heart of these tales as never before seen. 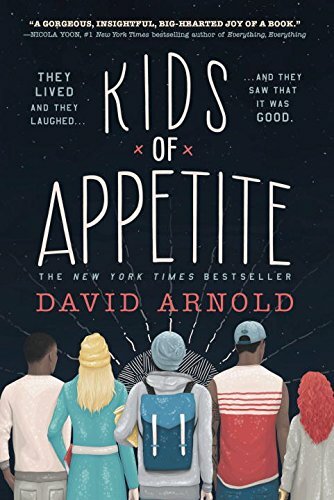 Kids of Appetite: The critically acclaimed author of Mosquitoland brings us another batch of unforgettable characters in this New York Times bestselling tragicomedy about first love and devastating loss. Victor Benucci and Madeline Falco have a story to tell. It begins with the death of Vic’s father. It ends with the murder of Mad’s uncle. The Hackensack Police Department would very much like to hear it. But in order to tell their story, Vic and Mad must focus on all the chapters in between. 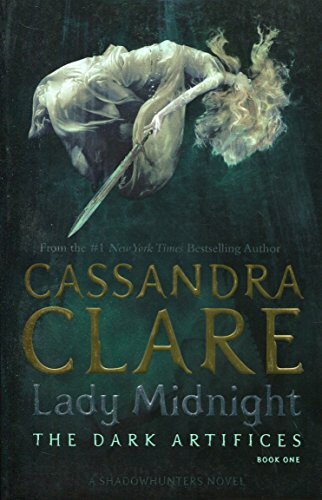 Lady Midnight (The Dark Artifices): The Shadowhunters of Los Angeles star in the first novel in Cassandra Clare’s newest series, The Dark Artifices, a sequel to the internationally bestselling Mortal Instruments series. Lady Midnight is a Shadowhunters novel. It’s been five years since the events of City of Heavenly Fire that brought the Shadowhunters to the brink of oblivion. Emma Carstairs is no longer a child in mourning, but a young woman bent on discovering what killed her parents and avenging her losses. Together with her parabatai Julian Blackthorn, Emma must learn to trust her head and her heart as she investigates a demonic plot that stretches across Los Angeles, from the Sunset Strip to the enchanted sea that pounds the beaches of Santa Monica. If only her heart didn’t lead her in treacherous directions…Making things even more complicated, Julian’s brother Mark-who was captured by the faeries five years ago-has been returned as a bargaining chip. The faeries are desperate to find out who is murdering their kind-and they need the Shadowhunters’ help to do it. But time works differently in faerie, so Mark has barely aged and doesn’t recognize his family. Can he ever truly return to them? Will the faeries really allow it? 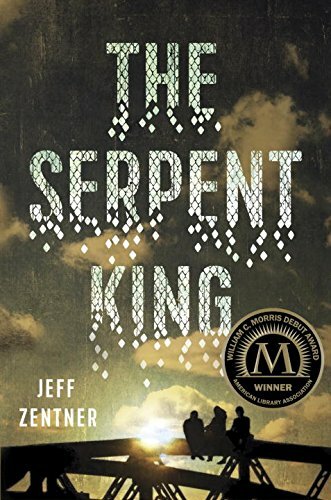 The Serpent King: Dill isn’t the most popular kid at his rural Tennessee high school. After his father fell from grace in a public scandal that reverberated throughout their small town, Dill became a target. Fortunately, his two fellow misfits and best friends, Travis and Lydia, have his back. But as they begin their senior year, Dill feels the coils of his future tightening around him. His only escapes are music and his secret feelings for Lydia–neither of which he is brave enough to share. Graduation feels more like an ending to Dill than a beginning. But even before then, he must cope with another ending–one that will rock his life to the core. 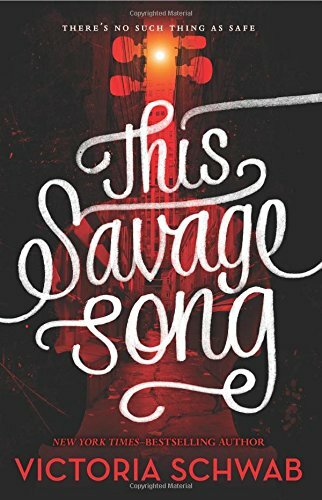 This Savage Song (Monsters of Verity): Kate Harker and August Flynn are the heirs to a divided city—a city where the violence has begun to breed actual monsters. All Kate wants is to be as ruthless as her father, who lets the monsters roam free and makes the humans pay for his protection. All August wants is to be human, as good-hearted as his own father, to play a bigger role in protecting the innocent—but he’s one of the monsters. One who can steal a soul with a simple strain of music. When the chance arises to keep an eye on Kate, who’s just been kicked out of her sixth boarding school and returned home, August jumps at it. But Kate discovers August’s secret, and after a failed assassination attempt the pair must flee for their lives. 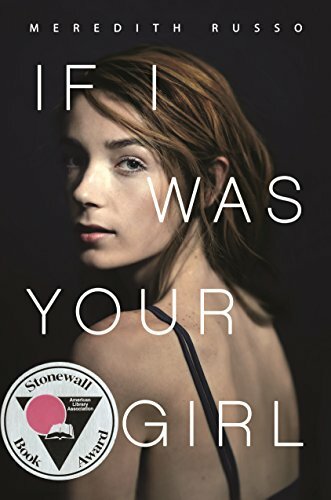 If I Was Your Girl: Amanda Hardy is the new girl in school. Like anyone else, all she wants is to make friends and fit in. But Amanda is keeping a secret, and she’s determined not to get too close to anyone. 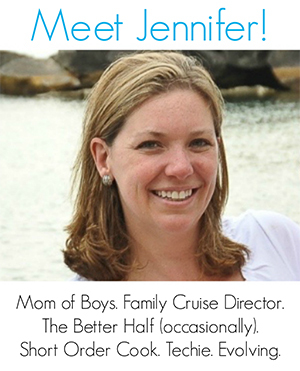 But when she meets sweet, easygoing Grant, Amanda can’t help but start to let him into her life. As they spend more time together, she realizes just how much she is losing by guarding her heart. She finds herself yearning to share with Grant everything about herself, including her past. But Amanda’s terrified that once she tells him the truth, he won’t be able to see past it. Because the secret that Amanda’s been keeping? It’s that at her old school, she used to be Andrew. Will the truth cost Amanda her new life, and her new love? 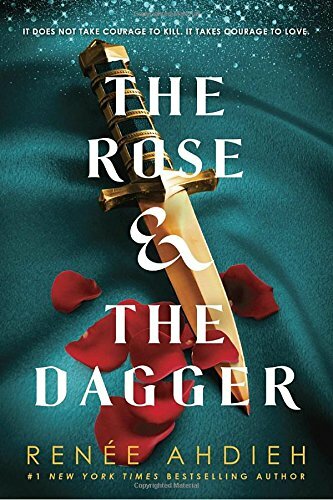 The Rose & the Dagger (The Wrath and the Dawn): In a land on the brink of war, Shahrzad has been torn from the love of her husband Khalid, the Caliph of Khorasan. She once believed him a monster, but his secrets revealed a man tormented by guilt and a powerful curse—one that might keep them apart forever. Reunited with her family, who have taken refuge with enemies of Khalid, and Tariq, her childhood sweetheart, she should be happy. But Tariq now commands forces set on destroying Khalid’s empire. Shahrzad is almost a prisoner caught between loyalties to people she loves. But she refuses to be a pawn and devises a plan. While her father, Jahandar, continues to play with magical forces he doesn’t yet understand, Shahrzad tries to uncover powers that may lie dormant within her. With the help of a tattered old carpet and a tempestuous but sage young man, Shahrzad will attempt to break the curse and reunite with her one true love. Tell Me Three Things: Everything about Jessie is wrong. At least, that’s what it feels like during her first week of junior year at her new ultra-intimidating prep school in Los Angeles. 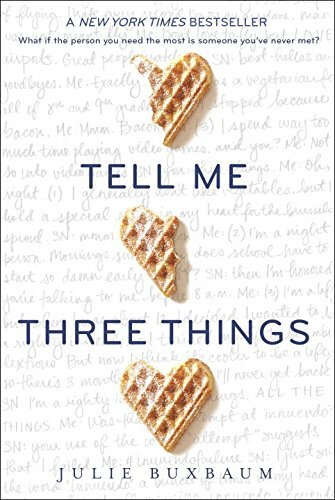 It’s been barely two years since her mother’s death, and because her father eloped with a woman he met online, Jessie has been forced to move across the country to live with her stepmonster and her pretentious teenage son, and to start at a new school where she knows no one. Just when she’s thinking about hightailing it back to Chicago, she gets an email from a person calling themselves Somebody/Nobody (SN for short), offering to help her navigate the wilds of Wood Valley High School. Is it an elaborate hoax? Or can she rely on SN for some much-needed help? In a leap of faith—or an act of complete desperation—Jessie begins to rely on SN, and SN quickly becomes her lifeline and closest ally. Jessie can’t help wanting to meet SN in person. But are some mysteries better left unsolved? 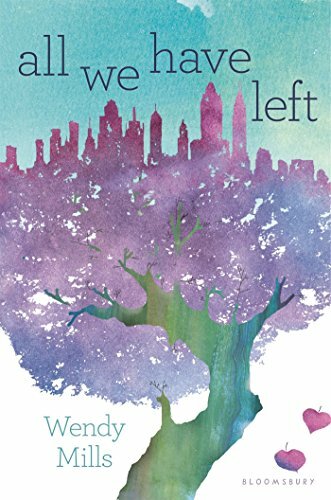 All We Have Left: Interweaving stories from past and present, All We Have Left brings one of the most important days in our recent history to life, showing that love and hope will always triumph. 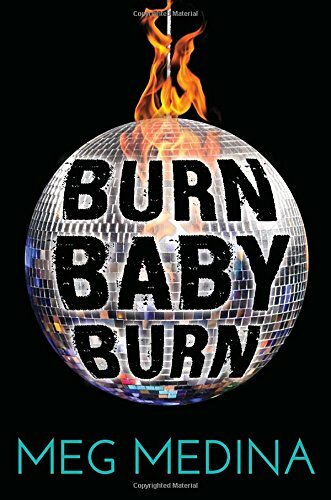 Burn Baby Burn: Nora Lopez is seventeen during the infamous New York summer of 1977, when the city is besieged by arson, a massive blackout, and a serial killer named Son of Sam who shoots young women on the streets. Nora’s family life isn’t going so well either: her bullying brother, Hector, is growing more threatening by the day, her mother is helpless and falling behind on the rent, and her father calls only on holidays. All Nora wants is to turn eighteen and be on her own. And while there is a cute new guy who started working with her at the deli, is dating even worth the risk when the killer likes picking off couples who stay out too late? 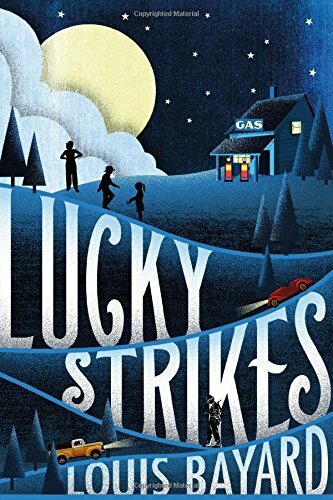 Lucky Strikes: With her mama recently dead and her pa sight unseen since birth, Amelia is suddenly in charge of her younger brother and sister―and of the family gas station. Harley Blevins, local king and emperor of Standard Oil, is in hot pursuit to clinch his fuel monopoly. To keep him at bay and keep her family out of foster care, Melia must come up with a father―and fast. And so when a hobo rolls out of a passing truck, Melia grabs opportunity by its beard. Can she hold off the hounds till she comes of age? 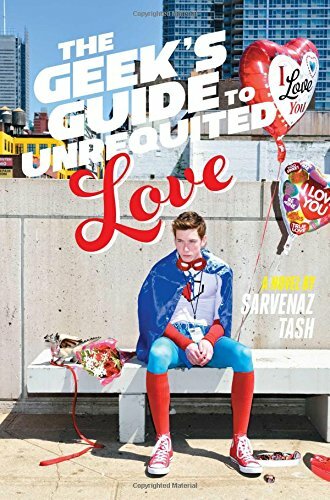 The Geek’s Guide to Unrequited Love: Graham met his best friend, Roxana, when he moved into her neighborhood eight years ago, and she asked him which Hogwarts house he’d be sorted into. Graham has been in love with her ever since. But now they’re sixteen, still neighbors, still best friends. And Graham and Roxy share more than ever–moving on from their Harry Potter obsession to a serious love of comic books. When Graham learns that the creator of their favorite comic, The Chronicles of Althena, is making a rare appearance at this year’s New York Comic Con, he knows he must score tickets. And the event inspires Graham to come up with the perfect plan to tell Roxy how he really feels about her. He’s got three days to woo his best friend at the coolest, kookiest con full of superheroes and super villains. But no one at a comic book convention is who they appear to be…even Roxy. And Graham is starting to realize fictional love stories are way less complicated than real-life ones.